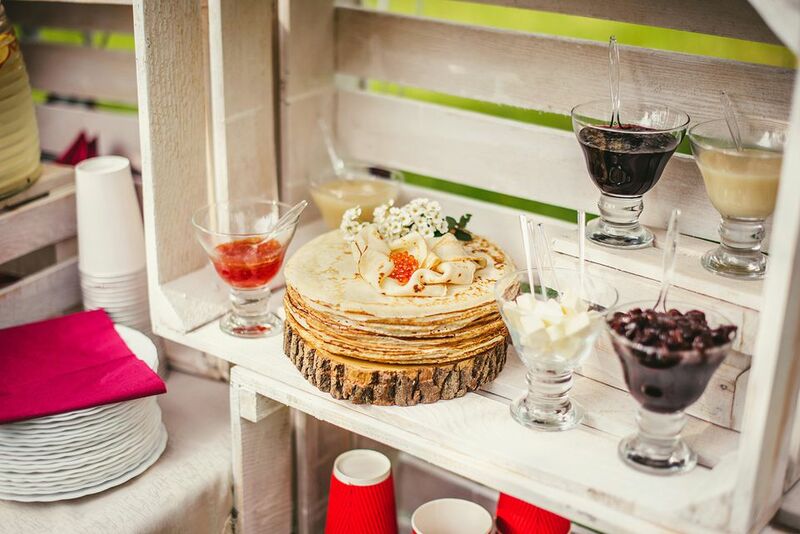 A crepe station makes a fabulous addition to weddings and special occasions. The setup is simple: a pretty table setting and enough room to accommodate a variety of filling and garnishes are all one needs to build an eye-catching, memorable crepe station for a party. Personal touches, like small frames photographs, candles, and even a miniature Eiffel tower make the presentation even more appealing. Savory crepes make a perfect choice for an entree or a cocktail hour selection. Here are some delicious filling to try: ratatouille, grilled vegetables, mushroom sauce, tomatoes, chicken in cream sauce, and wilted spinach with bacon. Sweet fillings are what come to mind when thinking of a crepe station. The options and combinations are endless. Here are some scrumptious ones every table should stock: fresh fruit, whipped cream, American-style Neufchatel cheese, jam, hazelnut spread, and chocolate sauce. Every crepe needs the opportunity to look as delicious as it tastes. That's where the garnishes come into play. Try these universal pleasers at the garnish section of the crepe station: powdered sugar in a small canister with a mesh lid for dusting, whipped cream, creme anglaise, perfectly plump, ripe berries. They say presentation is everything. 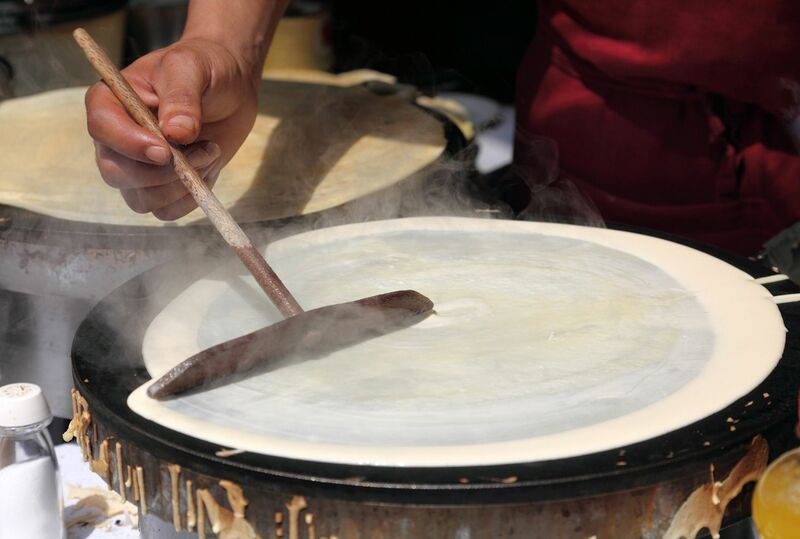 Crepes are traditionally served by filling and then folding into quarters. They may also be rolled neatly. How Do You Make Gluten-Free Tapioca Flour Crepes?